“Mom the snow needs to melt,” I hear the other day from O’Bear. I always agree with this statement, but thought it was curious he said it and I asked him why as he was opening our newest box from Kids Foot Locker with sports clothes inside. “I need to play ball again.” of course. Snow and ice slow these boys down. They want to be out there everyday, whether its shooting a hoop, tossing a football, or practicing pitching. Their sporty outfits are perfect and comfy for these active boys! C’Man is growing like a weed! He loooooves that he is taller than me now (which is not hard!) and will soon be catching up to his dad. The Nike KD (Kevin Durant) shoes for basketball season with coordinating sweats, tee, and hoodie are my favorite colors and they look great on him, even with his teenage (non)smile. 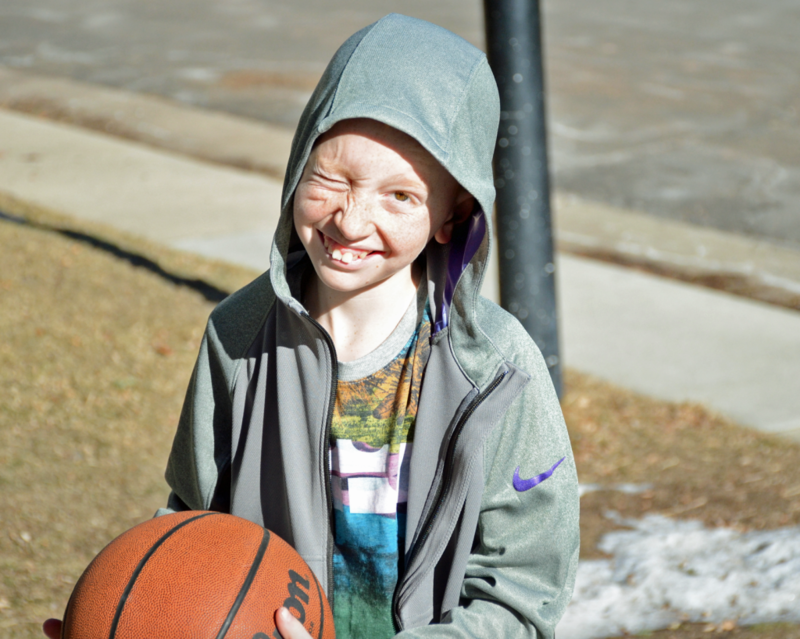 O’Bear looooooves being called the Sports Kid and will tell you that he always has to be playing one each season. 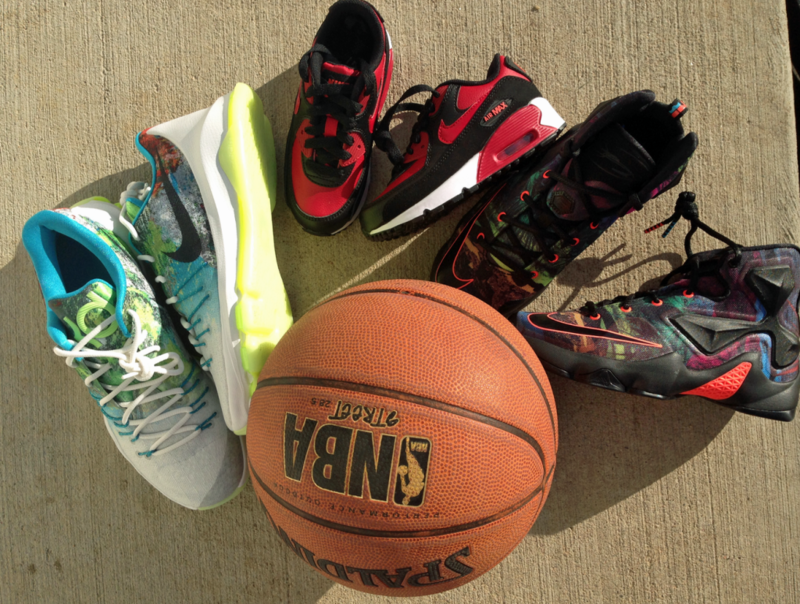 Right now he’s in basketball and the Nike LeBron XIII shoes are making him good! He’s already training for baseball this spring too and his new matching, very colorful, outfit from definitely makes him stylin’! P’Diddy may be the smallest, but he loooooooves being called the toughest. 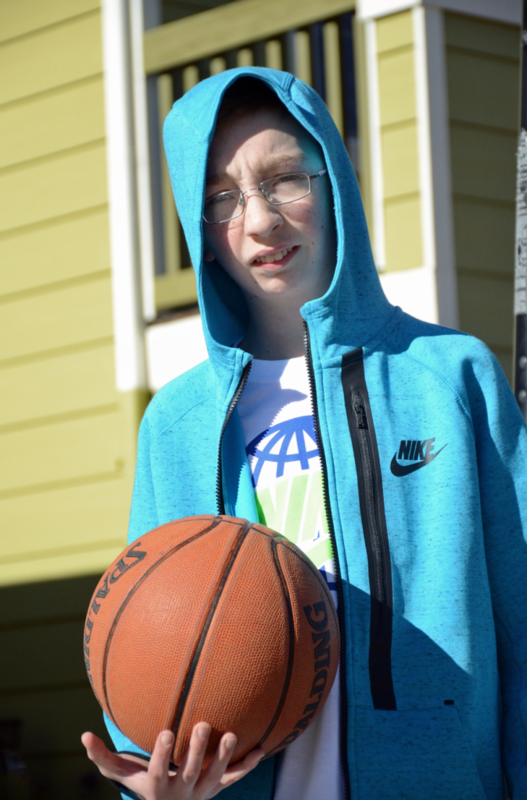 He is not afraid to try out new things – from ice skating to rock climbing – he definitely has his love for the ball. “Look mom I can jump high,” he cries out to me in his Nike Air Max 90 shoes. He loves being the star. They all definitely keep this mama hopping – and driving – to the next practice or game. 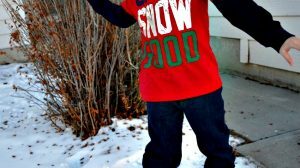 The right gear makes them feel confident and I love seeing the smiles on their faces. My boys love these crazy colored shoes! 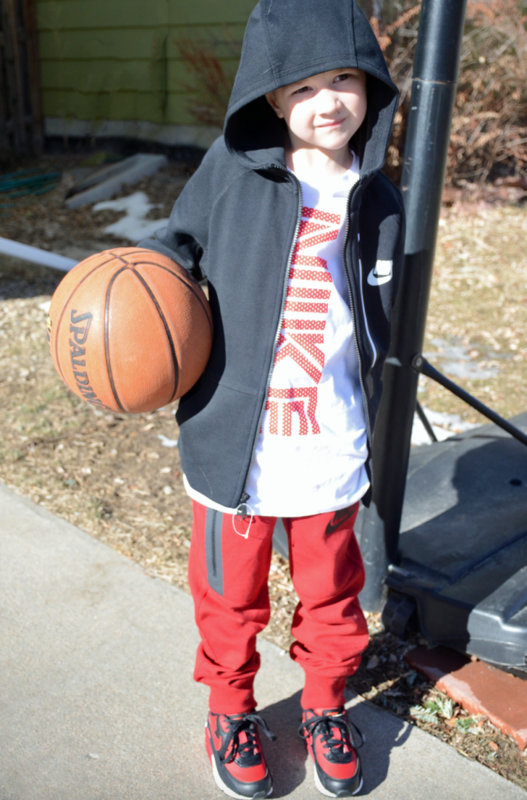 Visit my On the Court post where the kids are showing off their moves AND their outfits! 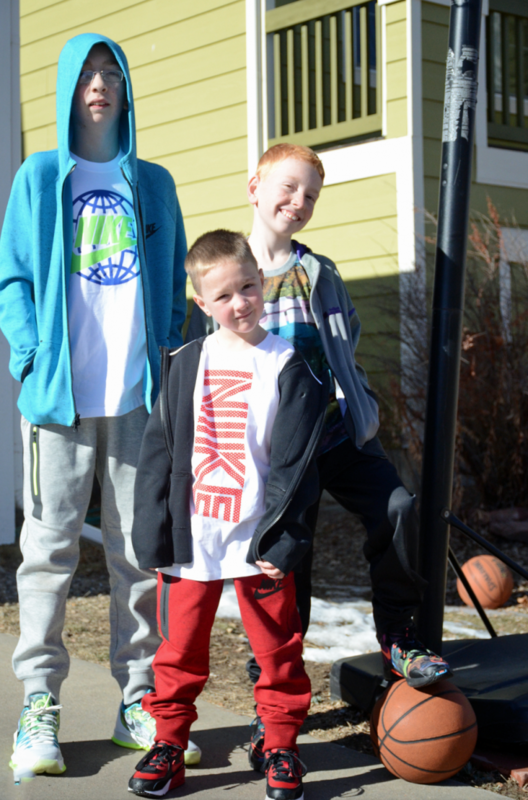 My boys received these outfits from Kids Foot Locker for this post. All opinions are ours. Awesome hoodies!!!! Love that blue one!